What to expect from this small batch chocolate chip cookies recipe? 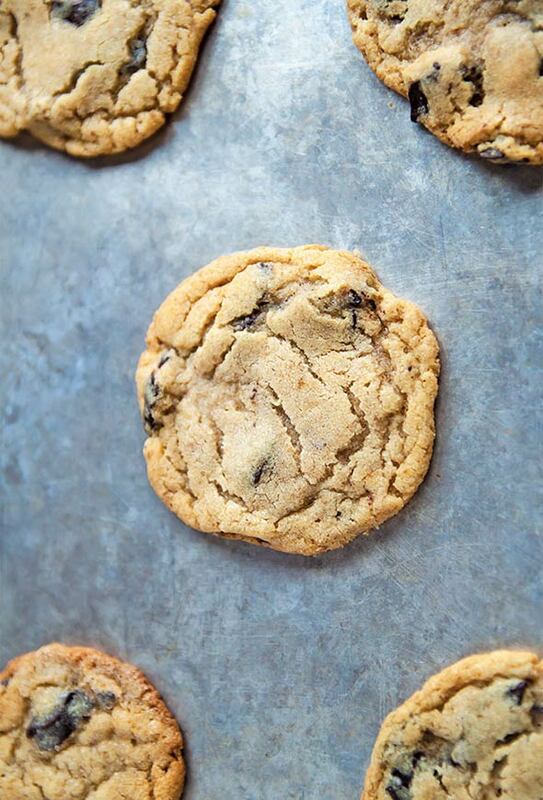 Expect cookies that are crisp-edged with chewy centers and, when snatched straight off the baking sheet while warm from the oven, are unabashedly gooey and chewy in the loveliest possible way. Actually, they’ll make you almost regret not baking more. Almost. And yet this recipe is insanely perfect when there’s just you and another dedicated chewy cookie lover. 1. Preheat the oven to 375°F and line a baking sheet with parchment paper or a silicone mat. 2. In a medium bowl using an electric mixer on medium speed, beat the butter, shortening, brown sugar, and granulated sugar together. Beat very well, about 45 seconds. Add the egg yolk and vanilla and beat until combined. 3. In a small bowl, whisk together all the remaining ingredients, except the chocolate chips, and add this mixture in 2 batches to the butter mixture, beating until just combined. Stir in the chocolate chips. 5. Bake the cookies for 8 to 12 minutes. The cookies will spread somewhat during baking and may look underdone—as in pale, pale golden brown—even when fully baked. Let the cookies rest on the baking sheet for a few minutes –they’re incredibly when warm—and then carefully use a thin metal spatula to transfer them to a wire rack to cool slightly before descending upon them with your cookie craving. The cookies are at their best when warm and tend to be slightly fragile with crisp edges and spectacularly chewy, gooey centers. As the cookies cool, they meander into cakey territory. Not that we expect the cookies to last until they’re cool. Nope, not at all. 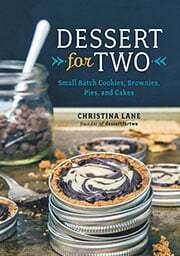 Small Batch Chocolate Chip Cookies Recipe © 2015 Christina Lane. Photo © 2015 Christina Lane. All rights reserved. All recipes and photos used with permission of the publisher.